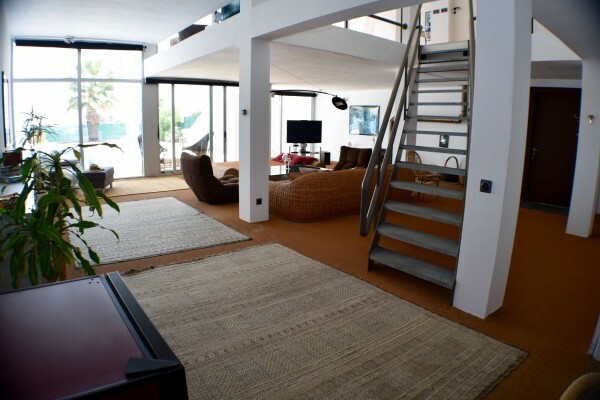 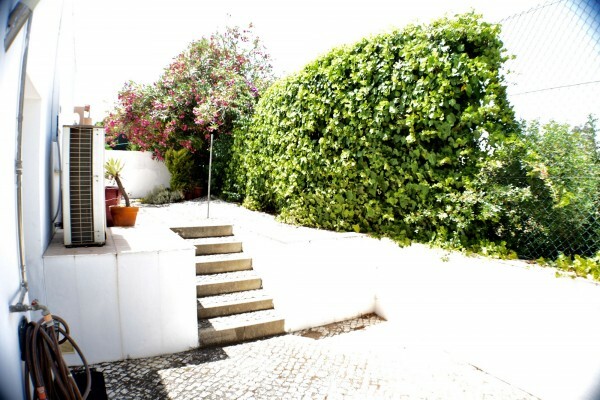 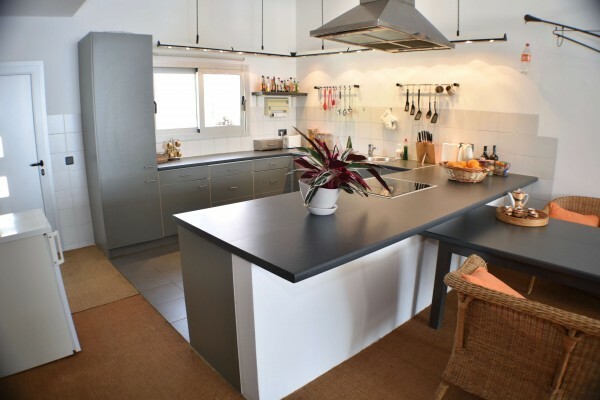 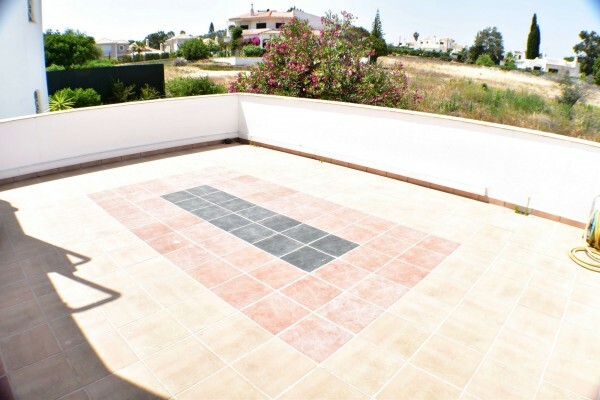 This modern villa is located in a privileged location of Albufeira, with fantastic sea views and only a 5 minutes walk from the beach Praia da Coelha. Tt is south facing and has distant sea views. 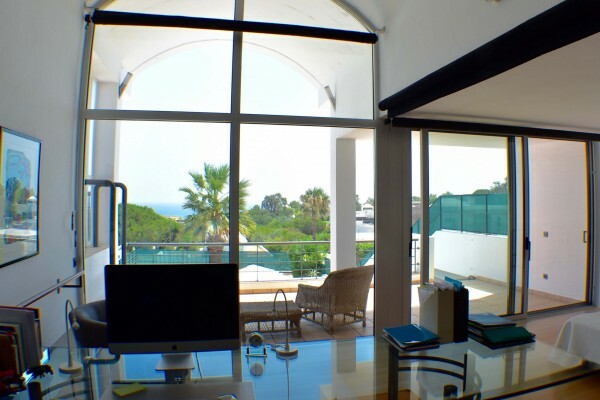 The villa was constructed in a modern, contemporary design to maximize the views from all main living areas over the ocean. 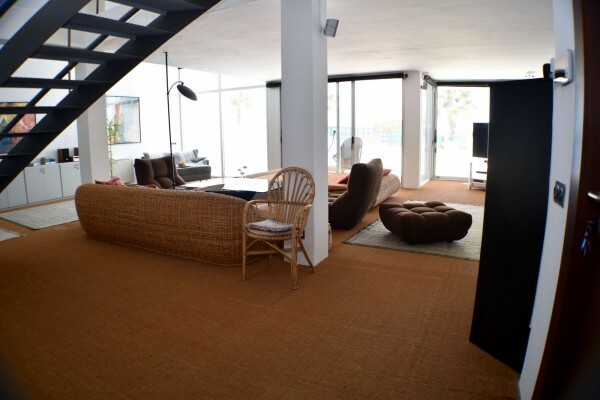 The property is built on two levels with the ground floor comprising of the main living areas with a spacious, open plan lounge and dining room which has a fireplace and large floor to ceiling windows providing an abundance of natural light. 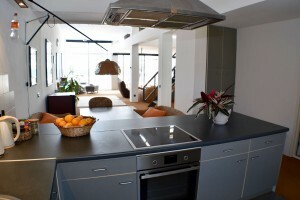 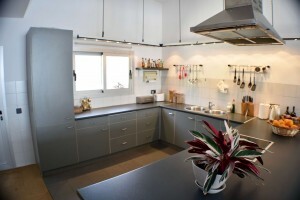 There is a modern kitchen with integrated Bosch and Zanussi appliances, big storage room. 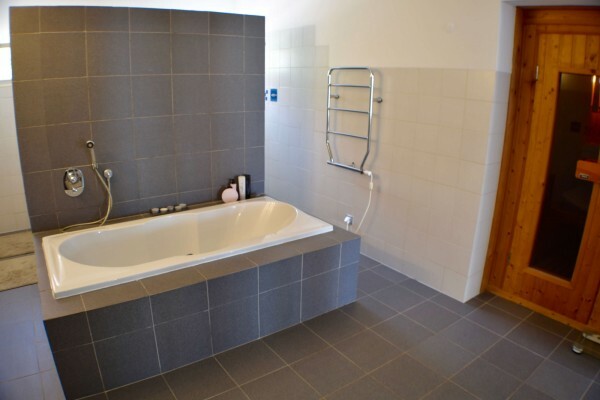 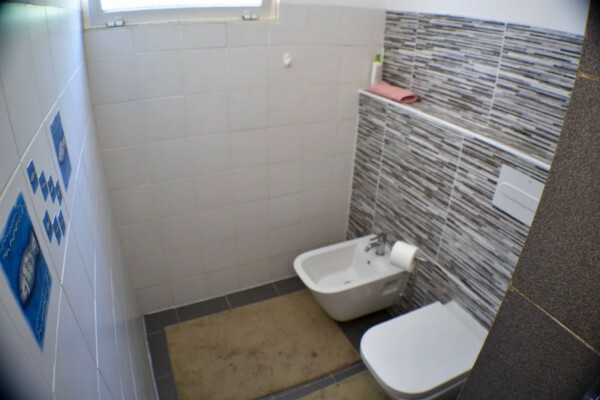 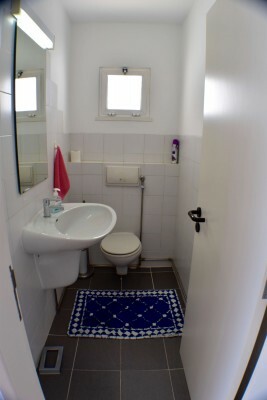 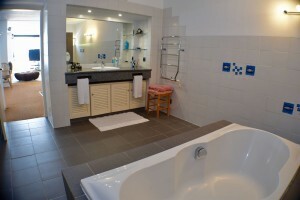 Very spacious bathroom has a bath, shower and sauna, under floor heating. 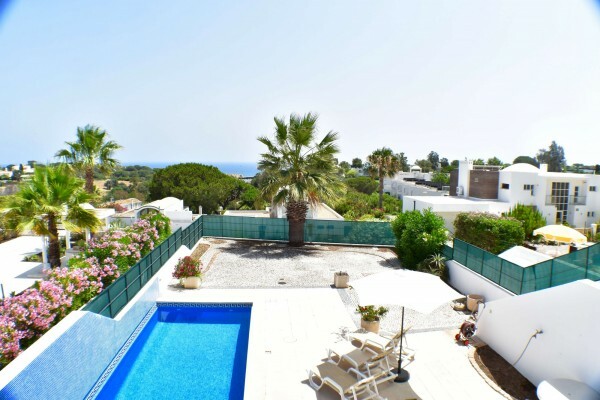 All the living spaces have direct access to the outside seating, dining and BBQ areas with spectacular sea views and pool area with salt water swimming pool (3m x 12m). 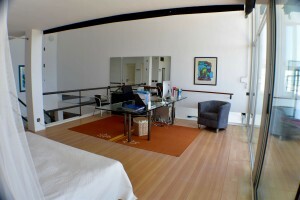 The upper floor comprising of the open plan bedroom with access to the terrace, an office area, WC, cloakroom. 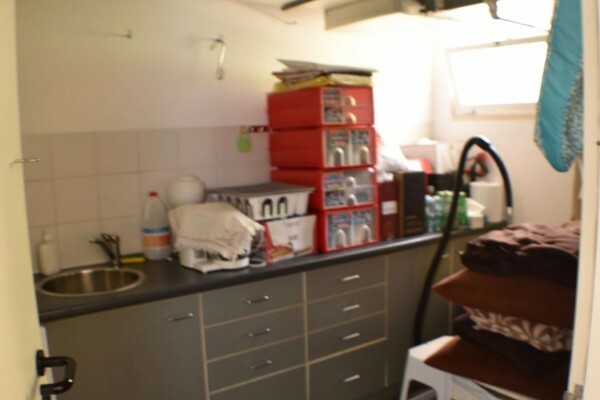 There are also 3 garages, storage room and utility room. There are a selection of spacious terraces with stunning sea views. There is a possibility to build additional 2 bedrooms. 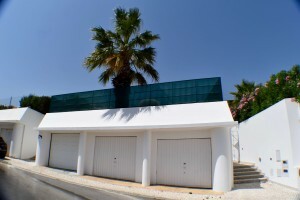 This fantastic property is in a quiet residential area yet only 10 minutes’ drive from Albufeira, Salgados Golf & Beach Resort. 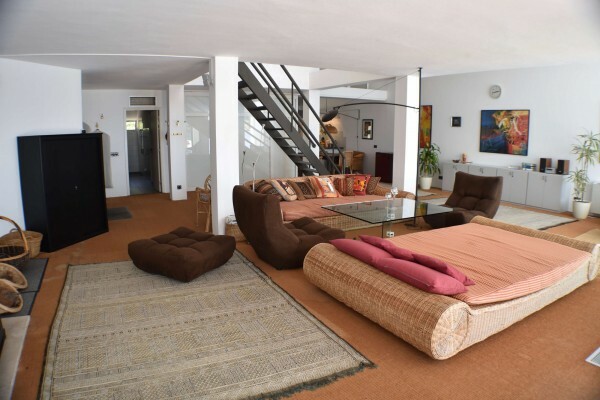 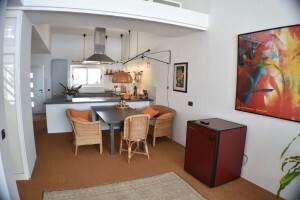 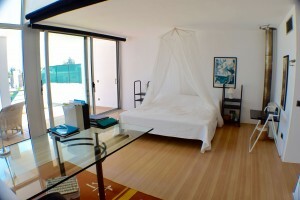 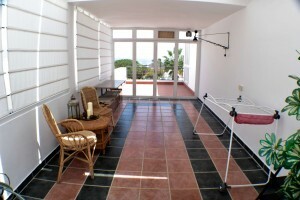 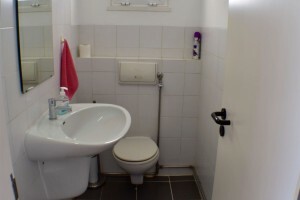 Within walking distance (200 meters) there are two excellent restaurants and tennis courts. 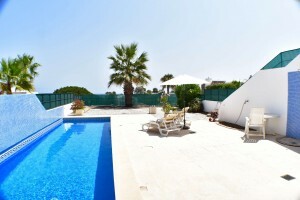 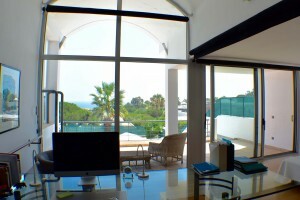 Fantastic opportunity, for relocation, holiday or investment!